A candidate seeking admission to Fellowship in radiology course for Physiotherapists should have completed 2nd year bachelor of physiotherapy conducted by indian universities or any equivalent of the same. English shall be the medium of instruction for all the subjects of study and for the examinations of the FRCPT Course. A FRCPT candidate is required to attend at least 8 Sunday classes conducted in six months in all subjects to become eligible to appear for the FRCPT examination. The final FRCPT examination will be held at the end of six month. A candidate is declared to have passed FRCPT examination, if she/he secures 50 % of the marks. Introduction/ review the guide to Physical therapy practice, Changing perspectives on diagnostic imaging in physical therapy education, Evidence supporting increased imaging education. Examine the role physical therapist as primary care provider in United States of America, and other countries. Evaluate the role of imaging in the diagnostic process and physical therapy intervention. Introduction to radiology and historical perspectives of radiology. Explore the concepts of science of X-rays, understanding the image and fundamental radiographic principles. Examine the search pattern of radiographic analysis, radiographic diagnosis of skeletal pathology and radiologic report. Explore the science & principles of CT, and different forms, views & uses of CT. Evaluate the role of CT in neuro imaging. 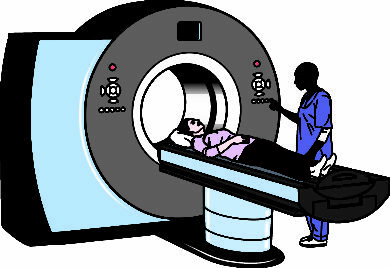 Explore the science & principles of MRI, and different forms, views & uses of MRI. Evaluate the role of MRI in neuro imaging. Explore the science & principles of diagnostic ultrasound, and different types, & uses of ultrasound. Evaluate the role of ultrasound in biofeedback. Introduction / review of radiologic elements of fracture description, reduction and fixation of fractures. Explore the radiological evaluation of fractures in children and adults with its complications. Radiologic anatomy of cervical spine. Cervical spine x ray views; AP, lateral, open mouth AP, right oblique, left oblique, lateral flexion, lateral extension, swimmers lateral and trauma cross table view. Diagnostic imaging for trauma of cervical spine. Radiologic analysis & interpretation of cervical spine conditions; Fractures, Dislocations, Hyperflexion & hyperextension sprains, IVD herniations, degenerative diseases of cervical spine and cervical spine anomalies. Radiologic anatomy of thoracic spine. Thoracic spine X ray views; AP, lateral, oblique, coned views, and swimmers lateral. Sternal Projections; Posterior oblique, anterior oblique and lateral views. Diagnostic imaging for trauma of dorsal spine. Radiologic analysis & interpretation of dorsal spine conditions; Fractures, Dislocations, sprains, 3 column injuries, Osteoporosis, Pott’s disease, Scheuermann’s disease, thoracic, sternal & rib anomalies. Radiologic anatomy of lumbar & sacral spine. Lumbar spine X ray views; AP, lateral, oblique, coned views, and lateral L5-S1 views. Sacroiliac Projections; AP, oblique views. Radiologic analysis & interpretation of dorsal spine conditions; trauma, fractures, dislocations, sprains, Spondylolysis, Spondylolisthesis, lumbar stenosis, ankylosing spondylitis, sacroilitis, degenerative diseases of lumbosacral spine and lumbosacral spine anomalies. Radiologic anatomy of shoulder complex. Shoulder X ray views; AP internal rotation & external rotation, AP neutral views. Acromioclavicular projections: Upright AP view. Scapular projections: AP & lateral views. Additional Projections: Axillary view of glenohumeral joint, Scapular “Y” lateral view. MRI & CT of Shoulder. Radiologic analysis & interpretation of shoulder complex conditions: trauma, fractures, dislocations, sprains, rotator cuff tears, glenoid labrum tears, impingement syndrome and adhesive capsulitis. Radiologic anatomy of elbow and TMJ. Elbow projections: AP, lateral, oblique views. TMJ Projections; Transcranial view (lateral oblique transcranial), cephalometry, submentovertex view and panoramic radiograph. Imaging analysis & interpretation of elbow conditions; trauma, fractures, dislocations, sprains, Epicondylitis, osteochondritis dissecans. Imaging analysis & interpretation of TMJ conditions; trauma, fractures, dislocations, OA, RA, TMJ disc displacement, TMJ hypermobility, adhesion, & craniomandibular anomalies. Radiologic anatomy of wrist and hand. Routine Projections: PA, lateral and oblique views. Optional Projections: Ulnar deviation PA view, carpal tunnel view radial deviation PA view, clinched-fist PA view and stress views. Imaging analysis & interpretation of wrist & hand conditions: Trauma, fractures, dislocations, carpal instabilities, carpal tunnel syndrome, OA and RA. Radiologic anatomy of hip & pelvis. Routine Projections: AP, lateral frog-leg radiograph, cross-table lateral. Imaging analysis & interpretation of hip & pelvic conditions: Trauma, fractures, dislocations, OA, avascular necrosis of femur, slipped femoral capital epiphysis, developmental dysplasia of hip, femeroacetabular impingement and RA. Radiologic anatomy of knee complex. 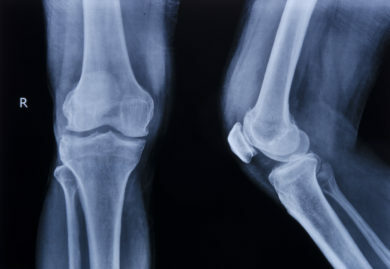 Knee x ray views; AP, lateral, PA axial “tunnel” view of the intercodylar fossa, tangential view of the patellofemoral joint. Imaging analysis & interpretation of knee conditions; Fractures, Dislocations, OCD, osteonecrosis, meniscal tears, degenerative diseases and knee anomalies. Radiologic anatomy of ankle & foot. Ankle x ray views: AP, lateral, AP oblique (mortise). Foot x ray views: AP, lateral, oblique. Imaging analysis & interpretation of ankle & foot conditions conditions: Fractures, Dislocations, sprains, hallux valgus, pes cavus, pes planus, talipes equinovarus and foot anomalies. Radiologic anatomy, evaluation & advanced imaging. Basic projections: PA & Lateral views. 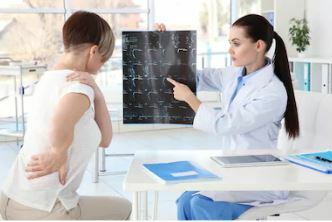 Imaging analysis & interpretation cardiopulmonary conditions: Pnemonia, Atelectasia, plural effusion, pneumothorax, COPD, aortic dissection, mediastienal lymphadenopathy, congestive heart failure, heart valve disease. Assessment of burn depth, Burn depth estimation, burn wound healing potential, imaging modalities for the assessment of burn wound depth, & pelvic floor biofeedback.